The Hyundai Elantra has long been one of the top 10 best-selling cars in Canada and there is no indication that this success is about to stop. The Hyundai Elantra has long been one of the top 10 best-selling cars in Canada and there is no indication that this success is about to stop. Indeed, the Hyundai Elantra was already very popular when Hyundai decided to redesign it completely for the 2017 model year. 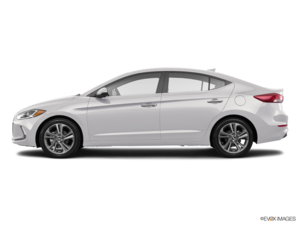 Offering a host of new features and an impressive new structure, the next-generation Hyundai Elantra was immediately successful. Things aren’t about to change with the 2018 Hyundai Elantra. The 2018 Hyundai Elantra is powered by a 2.0-litre four-cylinder engine producing 147 horsepower and 132 lb-ft of torque. It is also possible to get a more powerful engine in the hatchback version of the Elantra range, the Elantra GT. The latter offers more space in addition to being equipped with a 2.0-litre four-cylinder engine developing 162 horsepower and 150 lb-ft of torque. An even more powerful engine is feeding the Hyundai Elantra Sport, but for now, we are going to focus on the "normal" Hyundai Elantra. This engine displays impressive performance, but its fuel consumption is what will surprise its owner. The new Elantra is one of the most efficient cars in its class, without a shadow of a doubt. That said, it offers different driving modes that allow you to adjust the behaviour of the new Elantra. Known as Drive Mode Select, this system makes it possible to modify the throttle response and the behaviour of the gearbox (in particular) in order to obtain even better fuel economy or performance depending on our needs. The 2018 Hyundai Elantra also offers a brand new structure called SuperStructure that is 32% stiffer due to the use of high strength steel. This results in greater safety, better handling and better comfort. To learn more about the new 2018 Hyundai Elantra, contact us today at Surgenor Hyundai!